ROOM TO ROAM in this spacious side split on one acre country lot in Ennismore. This home is located on a quiet dead end street. Features 3 bedrooms, 2 baths, huge high end kitchen (eat-in) with walkout to 3 season sunroom, finished family room with bar. Other great features are, entrance to kitchen from oversized double garage, sunny living room, large foyer, 3 pcs ensuite, 4 pc bath with Jacuzzi tub, spacious bedrooms, sizeable closets & lots of storage. Very clean home, a pleasure to show. Any questions text me 705 927 6236 for a quick answer. Any one in my office can tell you that I am an iPad and iPhone junkie. They will also tell you that I am a little different because I still run a PC for a computer. I find that they all integrate nicely so I am not moving to an iMac quite yet. I have set up and downloaded all the apps I think I am going to need to use for this process of being paperless. Evernote is going to be the backbone of the system. Any hard notes or files will be found in this app. This gives me access to all most every piece of information, contracts, etc that I will need on a daily basis at my finger tips. Next I will use Dropbox to share files and PDF expert to be able to add to the PDFs. (PDF Expert can do a lot of things, but is difficult to navigate). The last App I downloaded to go paperless is Notesplus. This will give me the ability to time manage, take notes, and record notes. Handy App. Everyone of these Apps are integrated. This will take time to figure out the best use of each App but I think once I have got it figured out, this system will help me take my customer service to the next level. I will keep you up to date as I go along! 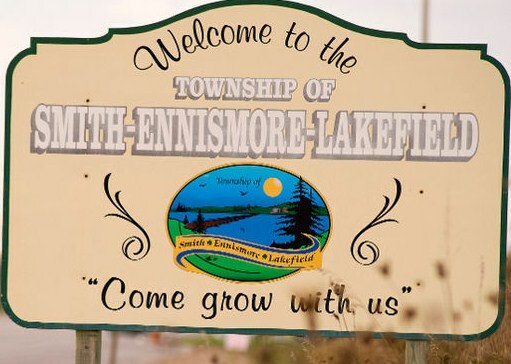 Ennismore; The community, the people, the lifestyle. What do houses sell for in Ennismore (real estate)? What is the family/community values in Ennismore? Ennismore has a population of approximately 5000 people. If you live in Ennismore, you are part of a community of families. Ennismore is a residential or a bedroom community of Peterborough. There is no industry in Ennismore, but there is small businesses. You will find service clubs, committees, teams working for the greater good of Ennismore's community. The community thrives and surrounds itself with sports, church and the school. What is there to do for leisure in Ennismore? Ennismore has excellent indoor and outdoor facilities, beach, park, trails and recreational programs. The main hub of the community is our Robert Young Community Center. Hockey, baseball, soccer, tennis and lacrosse is played here. There is also many Festivals in the community including the Shamrock Festival and Polar Fest. Seniors also has events and a club for all to meet. 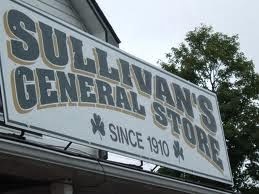 For detailed information visit Selwyn Townships website. What Emergency Services are there in Ennismore? Peterborough County/City EMS provides Primary and Advanced Care Emergency Medical Services throughout the County and City of Peterborough 24 hours a day, seven days a week. You can see their website at:http://www.ptboems.org. The fire service provides fire, rescue and emergency services with a Volunteer Fire Department that covers a population of 17,413 with coverage of 155 square miles including the surrounding rivers and lakes. The Department consists of 90 personnel operating out of 5 Fire Halls, utilizing 18 pieces of various apparatus. Visit Selwyn Fire Department Wiki page. There are two Police Services in the Township. The Peterborough County O.P.P. serves the Wards of Smith and Ennismore; and the Peterborough-Lakefield Police Services Board serves the Village of Lakefield. How to contact Brad Sinclair for more information? AMPLE SPACE HERE in this four level back split located on a cul-de-sac in Ennismore. Where to start to explain this wonderful family home? Three large bedrooms on the 2nd floor with a fourth bedroom on the lower level. 2 bathrooms. Modern eat-in kitchen and L-shaped living room. Family room boasts a fireplace and walk-out to your hot tub and pool (included). Large mud room or hot tub room. This home has been very well maintained. gas furnace installed in February 2014. Just move in and enjoy this extraordinary neighbourhood. Any questions text me 705 927 6236 for a quick answer.